Socializing a puppy from day one is essential to help him overcome fear or nervousness of every-day sights and sounds and to be happy in almost any situation. Take a look at our essential guide to socializing puppies and help your Cocker Spaniel grow up to be a confident 'Big Boy'! Socializing A Puppy: What Exactly Does This Mean? Puppy socialization is the gradual process of gently exposing your new puppy to everyday sights, sounds, and situations, in a positive and non-threatening way to help him get used to his surroundings. You might ask if socializing a puppy is a necessary part of his training. I'm not frightened of anything! Well, yes, because a properly structured socialization strategy is necessary for all puppies to help them to integrate successfully, not only into our human world but into theirs too. Under-socialized puppies often end up being frightened and confused by the simplest of situations or noises and are often nervous about what's going on around them. This nervousness can result in fear and/or aggression and can cause a puppy to bite or run off, perhaps into danger. Under-socialized puppies can also be hyperactive, over-excited and anxious, and are more likely to have behavioral problems later in life. They can also be a danger to themselves and to other dogs and puppies. The whole point of socializing a puppy is to introduce it to new experiences, gradually, and in a safe and controlled environment which will help the pup to accept all new situations calmly and without over-reacting. By carefully socializing your puppy, you'll be helping him to grow into a well-mannered, relaxed and confident adult dog. Best Time To Begin Socializing A Puppy? The best time to begin socializing a puppy is when it's between 4 and 12 weeks old as the capacity for learning will be at its peak and the puppy will be most receptive to training during this time. Very often the socialization process begins even earlier. As soon as puppies are born their mother begins training and socializing them to help them live and survive as part of a canine pack. And if you've bought your puppy from a professional Cocker Spaniel breeder, it's likely that the breeder will have already begun a program for socializing your puppy. The breeder will continue socializing the pup until he's ready to leave his mother. The sooner your puppy is introduced to the canine world, the better - watch this YouTube video of cocker spaniel puppies meeting a cat for the first time, poor cat! It's likely that your puppy's socialization will be well on the way by the time you're ready to bring him home. When you collect your puppy, don't forget to ask the breeder exactly what socializing he's had so far so that you can carry on where they left off. Even though the 'window of opportunity' for socializing a puppy closes around 12 weeks, it's really important that you continue socializing him beyond 12 weeks. Continue to expose your puppy to as much as possible; he may not learn as quickly as before, but he's still capable of learning. He probably won't be fully vaccinated for a few weeks yet so you won't be able to put him on ground where any other unvaccinated dogs may have been. If your puppy comes into contact with any canine diseases at this stage, it could prove fatal. Your breeder may have arranged your puppy's first vaccination, which will go some way toward protecting him, but you must arrange a follow-up with your vet who will advise you when the final vaccination's due, and when you can safely allow your puppy outside. So until he's fully vaccinated the best (and safest) place to begin socializing a puppy is in your own home. You can cover quite a lot of puppy socialization quite safely around your home and garden, but there will come a point when he needs to meet other dogs and experience new situations outside of the home, ie before he's fully vaccinated. You know it's important to expose your Cocker Spaniel to as many different situations and objects as possible and to meet a variety of different people and dogs before he's 12 weeks old. You also know that it could be dangerous to expose an un-vaccinated puppy to areas where other dogs have been, but you don't want to compromise socializing your puppy. 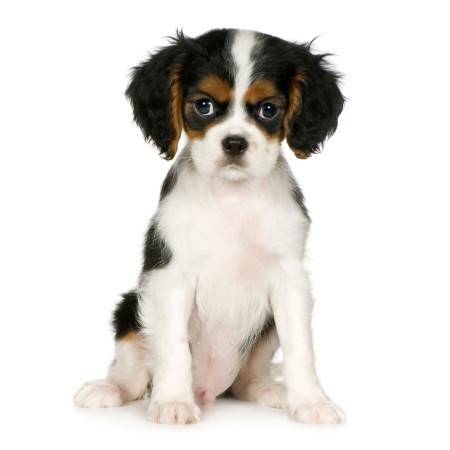 What If My Puppy's Not Yet Fully Vaccinated? Don't worry if your puppy's not yet fully vaccinated; you can continue socializing your puppy outdoors, as long as you don't put him down on the ground where un-vaccinated dogs may have passed by, but you must carry him at all times. There are still many things you can do safely before he's fully vaccinated. For example, carry him in your arms and take him to the garden center, the local market, or a supermarket car park. Find a place to sit and simply let him watch and listen to the sound of cars, people, supermarket trolleys, market traders and anything else that's going on. If it's safe to do so, stand at a busy crossroads, or by traffic lights, or simply stand at the edge of a busy road and let him watch and listen to the traffic, keep a tight hold on him though! If he stays calm, tell him he’s a good boy and give him a small treat. If the traffic gets a little loud and scary, don't reassure him as you'll just be confirming that he's got something to be nervous about. Take a step back if it gets too much. If you have friends or family who have fully vaccinated dogs, it would be safe to let them play and socialize together in your own puppy-proofed garden. 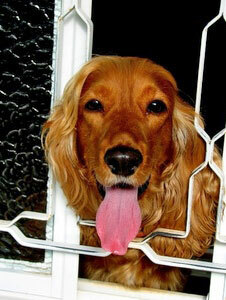 Introduce your puppy to the postman or someone wearing a uniform and ask them to give your pup a small treat. This will help him to learn that good things happen when the postman arrives and it may also help to stop your dog barking at visitors when he gets older. Don't stop socializing your puppy just because he's not yet fully vaccinated, but once he is, the sky's the limit. You'll be able to take him for walks on the lead, to meet other dogs in the park, or take him to the beach and watch him run around enjoying the sand and the waves! "I cannot stress how important it is to begin the socialization process as early as possible and continue with it throughout your dog's lifetime!" What If My Puppy Becomes Frightened? If your puppy is frightened or nervous towards something that can't harm him, for example, an opened umbrella, don't make a fuss, but don't reassure him either. If you do either of these you may be reinforcing his fear; confirming that he's right to be frightened. You're his pack leader and as such you need to show that he has nothing to fear. Back to the umbrella scenario (but these tactics can be used safely with almost any object you want your puppy to become familiar with). Don't try to force your puppy to approach the umbrella as this will only make matters worse. Instead, close it and put it on the floor. Sit near to it, but ignore it. Don't even look at it. Your puppy's curiosity may get the better of him and he may walk over to the umbrella and sniff it. If he does, praise him, but leave it where it is and just get on with your day. Towards the end of the day, try opening the umbrella half way. You may want to put a towel inside so that it can't snap shut on a curious puppy...now that would traumatize him! When he's relaxed about a half-open umbrella, it's time to open it fully. Leave it on the floor at this stage; you can lift it up over your head later (very slowly) when he's more used to it. Don't forget to reward him each time he fails to react to the object. If he does react, don't reward him. The key is to de-sensitize your pup gently, gradually increasing the exposure until he shows no fear or nervousness at all. 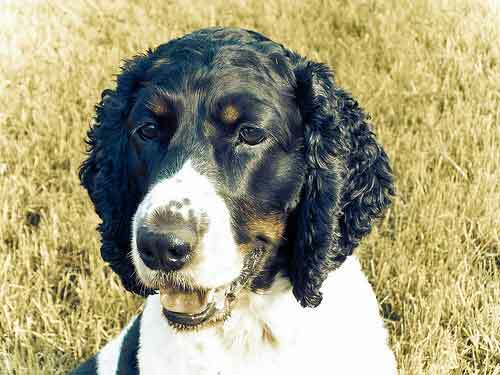 Socializing a puppy in a classroom environment is ideal to supplement the socialization you give him at home because classes will allow your Cocker Spaniel to meet with other (vaccinated) puppies and their owners in a safe environment. Your vet or local dog club may be able to recommend a reputable class in your area. Don't forget, your puppy will need to be fully vaccinated before he can mix with other dogs and puppies. Check with the organizers and speak to your vet, they will be able to give you lots of advice. Puppies also need to be taught good manners and must learn what is acceptable and what is unacceptable behavior. Obedience training is very important for all dogs and should become an immediate part of your puppy's training. Teach your puppy basic obedience commands such as 'Sit', 'Down', 'Stay', 'Come', and many more, and watch his manners grow! You'll need to continue socializing a dog for the rest of his life, although there won't be any urgency or the frequency of socialization that's necessary for a young puppy. Continue to find different situations for your dog: for example, take him to your local flea-market, or car boot sale; choose a different walk to give him different sights, sounds, and smells; anywhere that will offer your puppy different (positive) experiences. By socializing a puppy throughout his adult life, it will help him to become more confident (not fearful) and will be able to handle almost any situation with ease. When socializing a puppy, you need to make sure he gets the opportunity to meet as many different people as possible: different nationalities, large, small, short, tall, people with beards, mustaches, glasses, wearing hats, scarves, hoods, carrying umbrellas, and walking sticks. Introduce your puppy to sounds, such as sirens, car horns, traffic, children shouting, screaming and playing, dogs barking, aircraft, loud music, men's voices, arguing, fireworks, tyres screeching, cats meowing, and thunder. It may seem quite a lot, but I assure you.....it's only the beginning. The list doesn't end there; there's much, much more that your puppy needs to experience during these few vital weeks. Do a little bit of puppy socialization each day, but don't expect too much from him too soon. As with all puppy training, keep the session short and sharp to prevent your puppy becoming bored; puppies' attention spans are quite short! Socializing a puppy is meant to be fun. If he enjoys the 'tasks' you set for him he'll learn quickly. If he's a nervous puppy, just take things one step at a time; don't be in a hurry to rush forward. Many pups and dogs are put to sleep each year as a result of behavioral problems that could very easily have been avoided through proper puppy socialization. 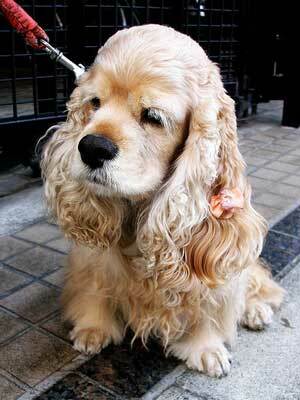 Please.........don't let this happen to your Cocker Spaniel! 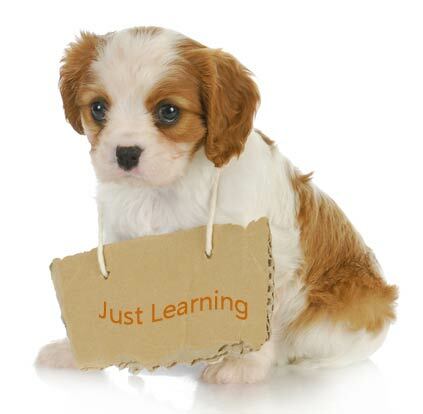 If you're new to puppy training you may have a few questions you'd like answering. 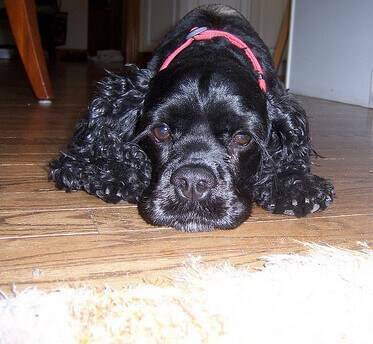 Here, you'll find all you need to help your little Cocker Spaniel Puppy become a well-behave little boy or girl! Our top training tips will help you to teach your new Cocker puppy some manners, especially useful if he won't listen to a word you say! So, begin training your puppy right now to help him be the best he can! Puppy crate training can take a couple of days or several weeks depending on how calm and relaxed he is. If he's stressed it may take a while or he may not take to his crate at all. 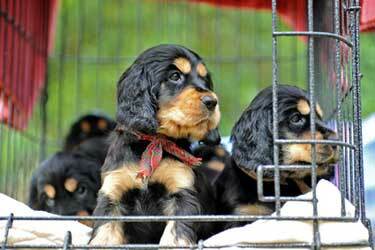 Learn the best way to crate train your puppy!